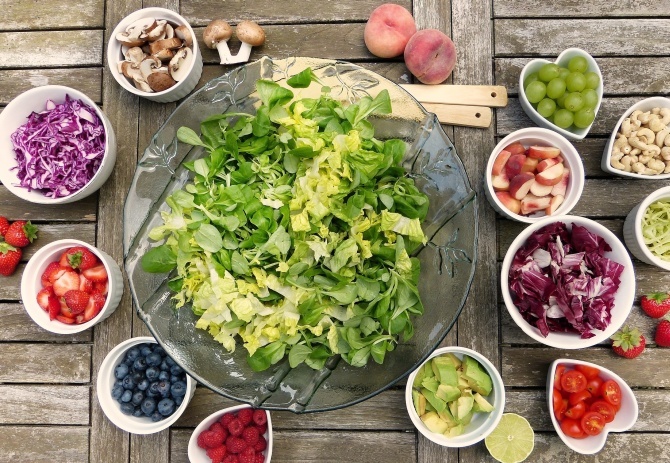 Rediff.com » Getahead » Can a plant-based diet help lower diabetes? A plant-rich diet high on fruits and veggies with less meat and sugar can help reduce diabetes, according to a study. A high-quality diet, defined by low intake of animal foods such as red meat, and high intake of plant foods such as vegetables, fruits and whole grains, coupled with a reduced intake of sweetened beverages, could be associated with reduced risk of diabetes, a recent study suggests. Diet is an important risk factor for Type 2 diabetes. Studying the impact of individual food items, however, does not account for the synergistic effects of diverse foods consumed together. Hence, scientists have turned increasing attention to studying the overall dietary patterns in order to capture the combined effect of a variety of food groups. Finding of the study were published in the Journal of American Journal of Epidemiology. Five predetermined dietary patterns originating in Western populations, i.e. the alternative Mediterranean diet (aMED, an international adaptation of the eponymous diet), the Alternate Healthy Eating Index 2010 (AHEI-2010), the Dietary Approaches to Stop Hypertension (DASH) diet, the plant-based diet index (PDI) and the healthful plant-based diet index (hPDI), are similar in being rich in plant-based foods, including whole grains, vegetables and fruits, nuts and legumes, and low in red meat and sugar-sweetened beverages. These dietary patterns have been shown to reduce the risk of diabetes and cardiovascular diseases, and are considered high-quality dietary patterns. The study, recently published in the American Journal of Epidemiology, found that all five high-quality dietary patterns were inversely associated with risk of diabetes. Study participants in the top 20 percent of scores for similarity to these healthy dietary patterns had a significant reduction of 16 per cent to 29 per cent in risk of diabetes compared to those who were in the lowest 20 per cent. However, this reduction in risk was attenuated in smokers. "Our results are consistent with studies in other populations that a high-quality diet defined by an abundance of minimally processed plant foods such as whole grains, vegetables, fruit, nuts and legumes, but restricted intake of red and processed meat, and sweetened beverages were significantly associated with lower risk of diabetes," said Rob van Dam, lead author of the study.